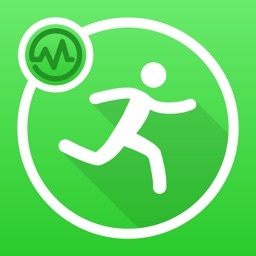 From the authors of the book, "Run Less, Run Faster", comes the companion iPhone app. 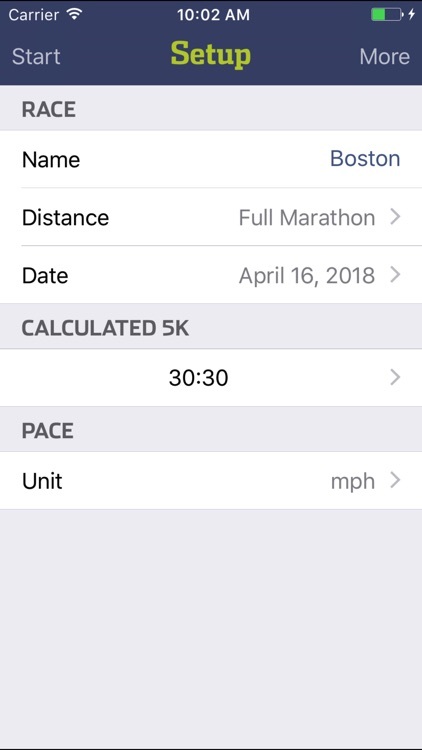 Created by the internationally recognized Furman Institute of Running and Scientific Training (FIRST), this app outlines comprehensive training programs for 5K, 10K, half marathon and marathon runners. 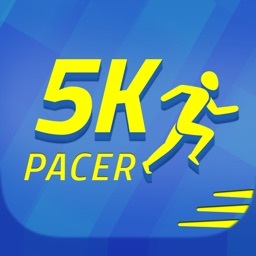 To get started all you have to do is input a current race time and the app does the rest! 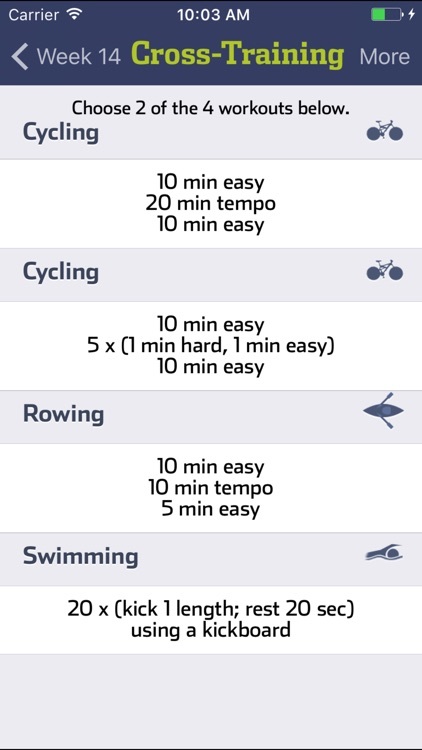 The FIRST app is a great way to optimize training time with better performance. 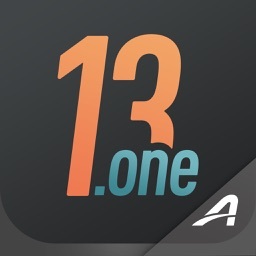 The FIRST app will help you get to the starting line stronger and healthier, no matter the race distance. 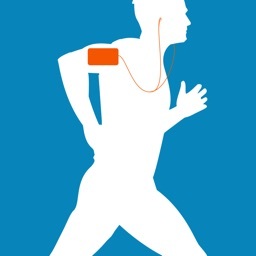 • You can choose distances and paces in mph, kph, minutes per mile or minutes per kilometer. 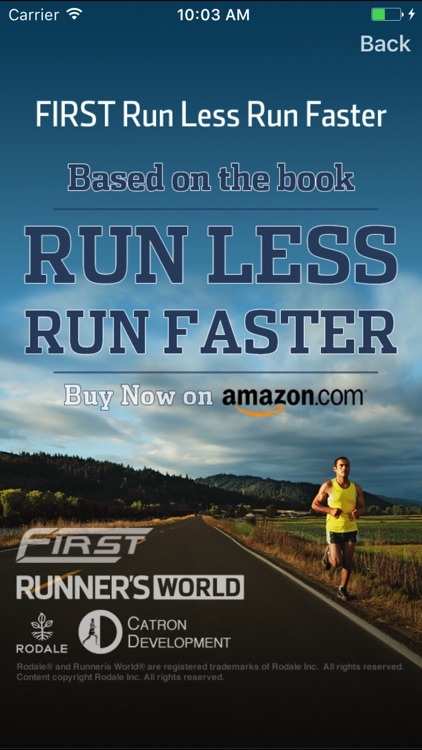 • The Novice-Marathon training program assumes you can run 8 miles. 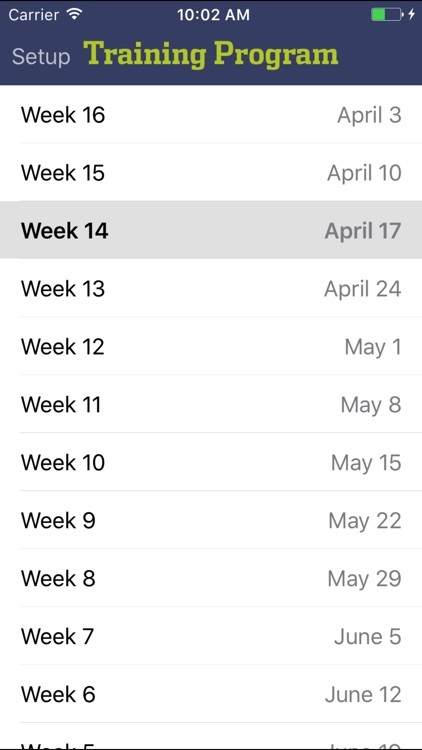 The 16-week Novice-Marathon training program includes a long run of 20 miles. 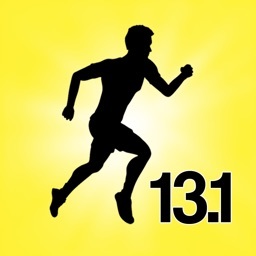 • The Marathon training program assumes you can run 13 miles. 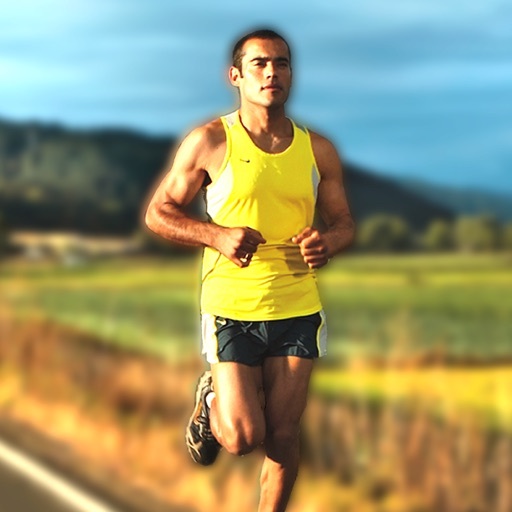 The 16-week Marathon training program includes five 20 mile runs. The three Key Runs – track repeats, tempo run and long run – are designed to work together to improve endurance, lactate-threshold running pace, and leg speed. These efficient and effective schedules have been researched and tested with runners of wide-ranging abilities. 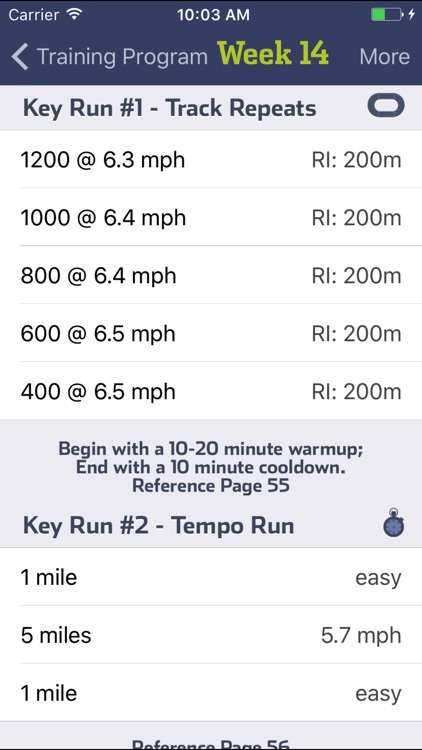 Having a portable app that allows runners to see their workouts on the fly is another time-saving feature of "Run Less, Run Faster". The contents of this App are copyrighted with all rights reserved by Rodale Inc. No part of this App may be reproduced or transmitted in any form or by any means, electronic or mechanical, including photocopying, recording, or any other information storage and retrieval system, without the written permission of Rodale Inc.